Our pro shop is open seven days a week and carries a large inventory of bowling balls from brands including Ebonite, Storm, Hammer, Track, Roto Grip, Columbia 300 and more. We also carry Dexter and Storm bowling shoes, as well as bowling accessories like bags, towels, ball cleaner, puff balls, wrist guards and much more. On Feb. 2, 1997, at Sun Valley Lanes in Lincoln, Neb., a sophomore on the University of Nebraska men’s bowling team did what is often considered the ultimate in bowling accomplishments. Jeremy Sonnenfeld managed to string 36 consecutive strikes on three separate sets of lanes to achieve the first ever USBC approved 900 series. Jeremy’s was the first approved 900 series in the history of the United States Bowling Congress. Watch news coverage of his historic 900 series on YouTube. 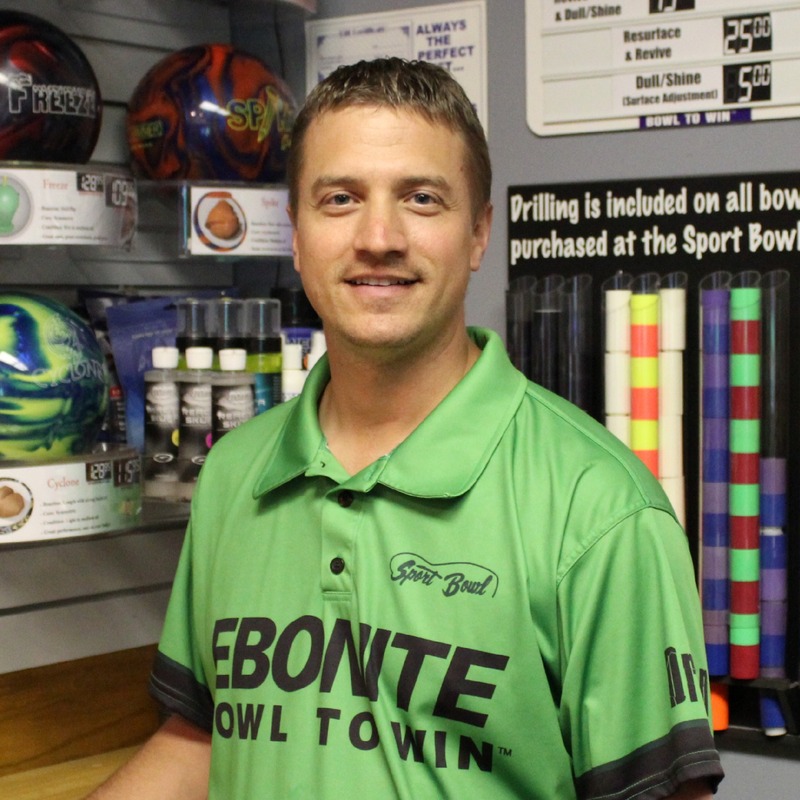 Sonnenfeld is now co-owner of Sport Bowl, an Ebonite staff member, and serves as a valuable member of our pro shop staff. Dave Parker is the owner of the Sport Bowl. He was influential in developing the pro shop over the last 40 years, getting it to where it is today. 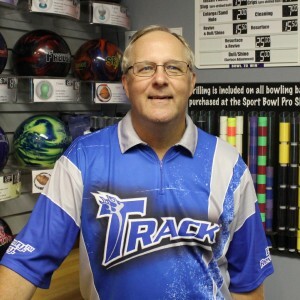 He has a lifetime of experience in drilling bowling balls, coaching youths and adults, managing and operating a bowling center and participating in league bowling with a 200-plus average. Dave has been drilling bowling balls at Sport Bowl since the 1970s. In that time, he has worked on everything from plastic to rubber to today’s high-performance reactive resin. Dave has a wealth of bowling knowledge. 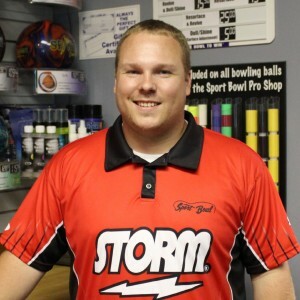 Bryan Parker is a staff member for Storm bowling products. He has been certified in Storm’s Vector Layout System, making Sport Bowl the only center in town with a staff member of this certification. Bryan knows Storm bowling products like the back of his hand. 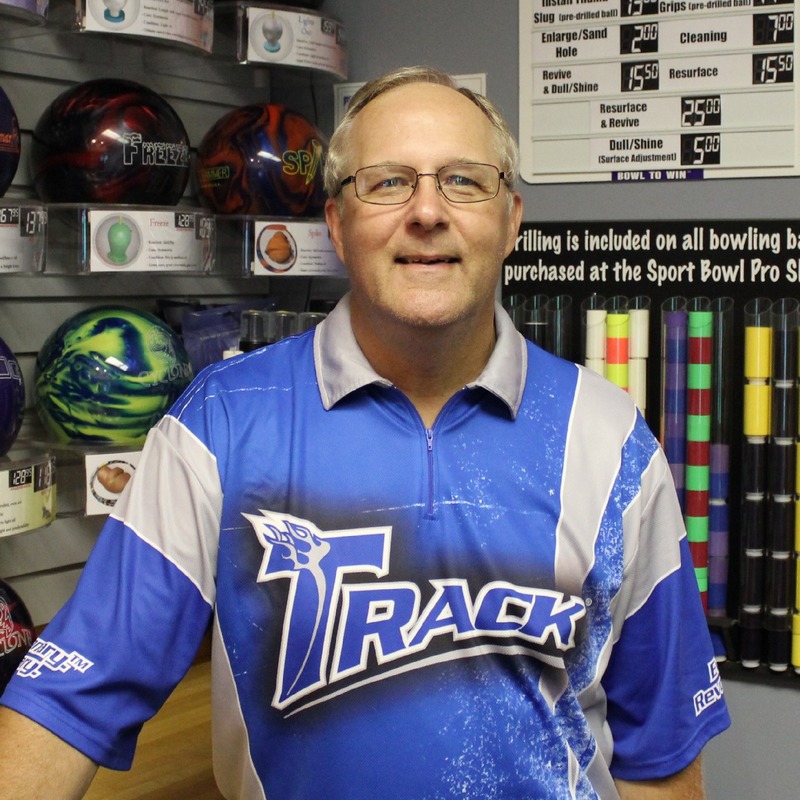 Bryan has studied their products and attended several Storm bowling training sessions to earn the privilege of selling and drilling their top-of-the-line products at the Sport Bowl. Bryan has over eight years experience drilling bowling balls.